The Vlamingh Memorial Sundial commemorates the voyage of Willem de Vlamingh and his fleet, which culminated in his discovery of Western Australia and the placing of a pewter plate on Dirk Hartog Island on 25 October 1616. 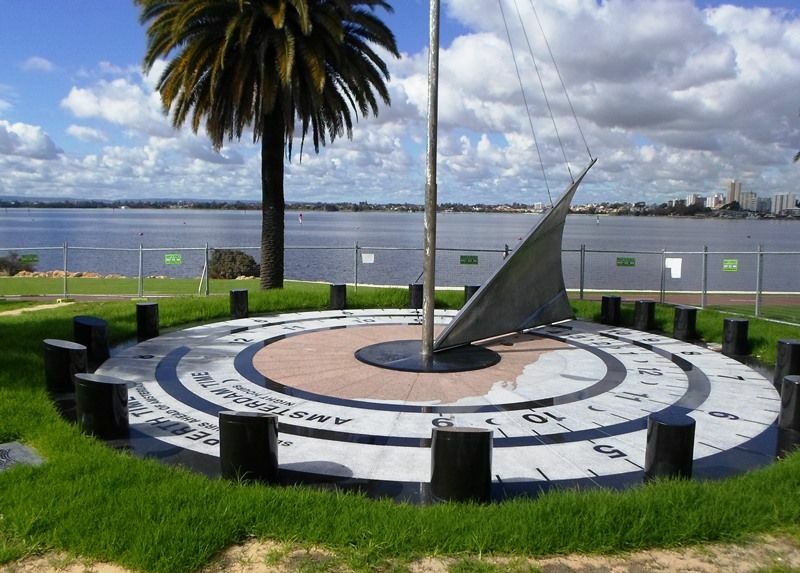 The interactive memorial sundial depicts Willem de Vlamingh’s historically significant arrival at the Swan River. Willem de Vlamingh left a major imprint on Western Australia, by naming various Western Australia iconic locations, including Rottnest Island and the Swan River. This commemorative and interactive work links Perth to Amsterdam, through a fascinating sun-dial. It matches the point on the globe where de Vlamingh landed in Western Australia in time with the Mourning Tower in Amsterdam – the location from where the captain and his crew set off on the expedition that put Western Australia on the world map.